A year on from the Arab Spring, supposed to usher in a new era for Yemen, for most it is a perilous time. With no clear direction, it is plagued by instability and lawlessness, allowing it to fall prey to further US military expansion. The unrest brought about by the Arab Spring triggered numerous political transitions throughout the Middle East and North Africa in 2011. In Yemen, the only state in the Arabian Peninsula to have a republican form of government, President Ali Abdullah Saleh was deposed after 33 years in power, and replaced by his deputy, Abd Rabbuh Mansur Hadi. 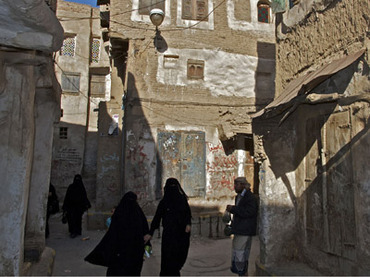 After nearly a year since this political transition, Yemen continues to face food insecurity, impoverishment and the threat of violent extremism from Al-Qaeda in the Arabian Peninsula (AQAP) and other Islamist militias. Guns are everywhere in the country’s capital, Sana’a, and several government ministries are abandoned and riddled with bullet holes. Once frequented by foreign tourists, political instability has left Yemen’s rich historical sites abandoned. In the country’s sparsely-populated and oil-rich south, formerly known as the Democratic People’s Republic of Yemen, citizens of the once-communist state advocate separatism and independence from unified Yemen. While many argue that 2011’s political transition failed to produce any tangible change in direction, the United States has backed the new administration and continues to implement a program of drone strikes in Yemen’s rural areas, despite reports of substantial civilian causalities. While the country continues to be plagued by instability and lawlessness, a cloud of uncertainty hangs over Yemen as Washington eyes to further increase its military presence in the Arab state. Nile Bowie is a Kuala Lumpur-based American writer and photographer. He explores issues of terrorism, economics and geopolitics.